Activated charcoal draws and removes bacteria, metals, toxins and other impurities from the skin, binds to them and rinses away. Non drying and safe for all skin types. 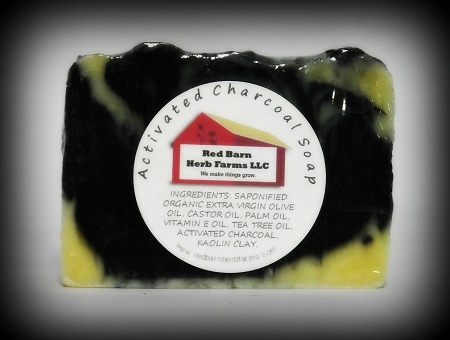 Great for acne, makeup removal, wound cleansing, boils, bedsores and more. A local favorite of home health nurses. Contains: Saponified Organic Olive, Palm Kernel and Castor Oils, Food Grade Activated Charcoal, Kaolin Clay, Organic Tea Tree Oil, GMO-free Vitamin E Oil.